New full-length vinyl, Alku Toinen, is to be released on Aagoo/Rev. Lab and on tape by Orange Milk and Big Ear also slated for spring ’15. 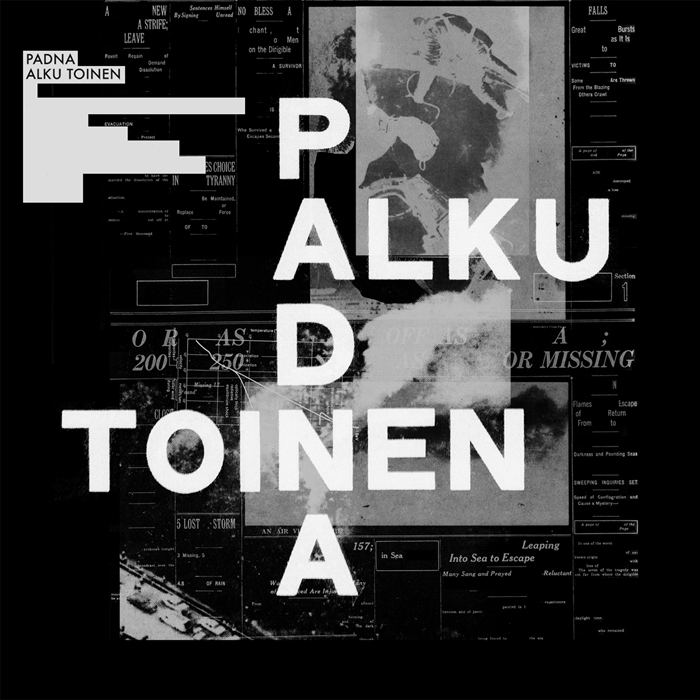 The graphic design for Padna – Alku Toinen captures source material that is based on disaster articles taken from old International newspapers. The original content of the article disappeared, it has been cut out by scissors. What remains in the design is the visual typography exposing the hidden language of emptiness, loss, absence, desire, loneliness and sadness. All are emotions existing underneath the surfaces of the catastrophes. The Padna images are fragmented, distorted and uncomfortable. By connecting and constructing the typographic remains out of the article, words and letters, a new message will arise.